It's been a while that I picked up a lip tint. The biggest reason for me to avoid them for the longest time was how it always made my lips super dry and flakey. Lip tints were also an unfamiliar trend in western countries so I always leaned more towards lipsticks even tho I loved the gradient lip look. But now I'm adjusting to the Shanghai lifestyle and trends. I've been seeing a lot of Korean influences, from Korean makeup brands to Korean makeup looks and fashion. So I tried it out one more time, a lip tint. 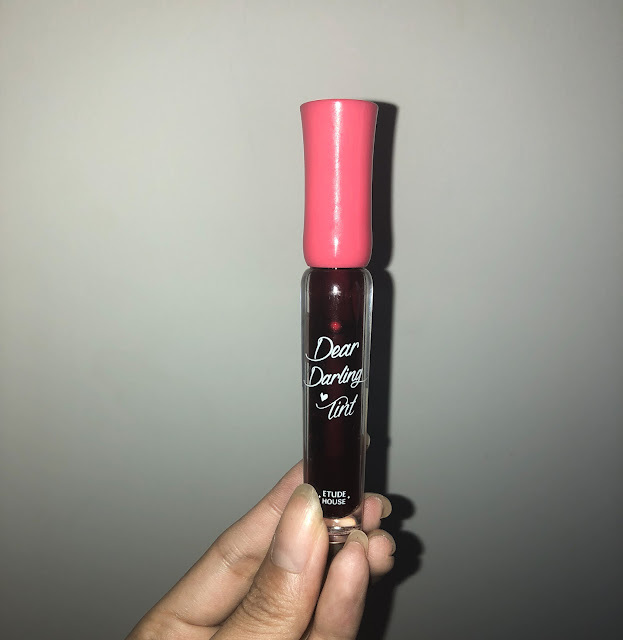 The one I'm reviewing today is the famous Etude House Dear Darling lip tint. I love their lipsticks in general, especially the lips talks, they are so moisturizing and glides on like butter. But lip tints were always a no no for me because of the state of dryness it left my lips in. Let's find out if Etude House made their lip tints as moisturizing as their lipsticks. The packaging is very simple and sturdy, tho for me it doesn't really stand out. It does the job, containing and showing the product. 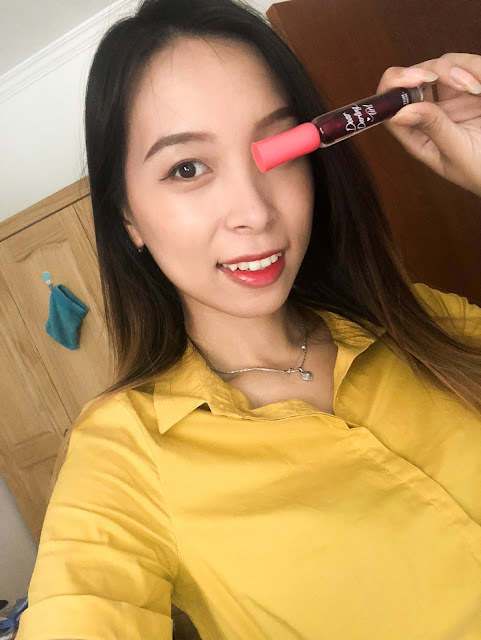 It has a twist cap and the length of the lip tint is nice for application and holding it in your hand. It glides on and dries quick. 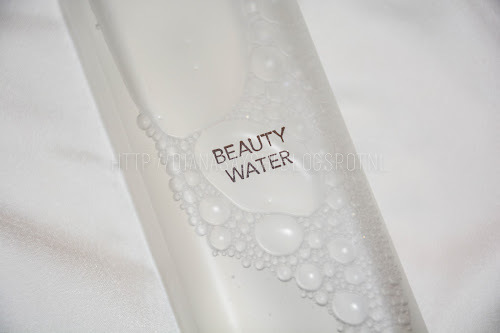 It has a watery finish even when it's dried. The color pay off is incredible, one coat is enough to create both a gradient or full lip color look. How I feel about this product? You can go all out with this product by either rocking a full lip color or create a gradient look. It stays ok after one coat but it stays on even better after re applying it a few hours later. Always look at the state your lips are in after eating or drinking, because it does come off while eating. Drinking anything with a straw is ok though. For the dryness it left my lips not as dry as how I remembered it. So that's already a major plus for me. I know that Etude House came out with a new darling lip tint that's water based. 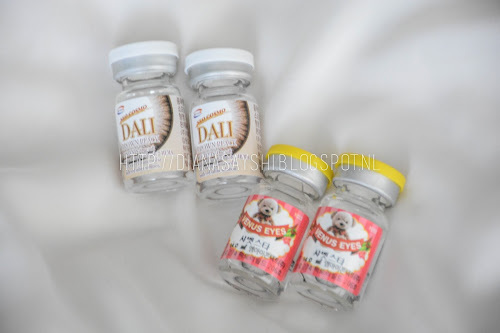 I've tried that one out too and if I had to compare both products then I would definitely go for the Dear Darling tint and not the watery one. Why? Color payoff is just much better and it glides on smoother. The water based lip tint just leaves my lips with awkward patches but that's for another blogpost. *I left my HDR camera back in the Netherlands so the pictures are not that great this time :( I'm trying to figure out how I'll manage without my camera!